For the 10th anniversary of Samsung’s Galaxy smartphones, it’s either go big or go home, and Samsung is going gargantuan. 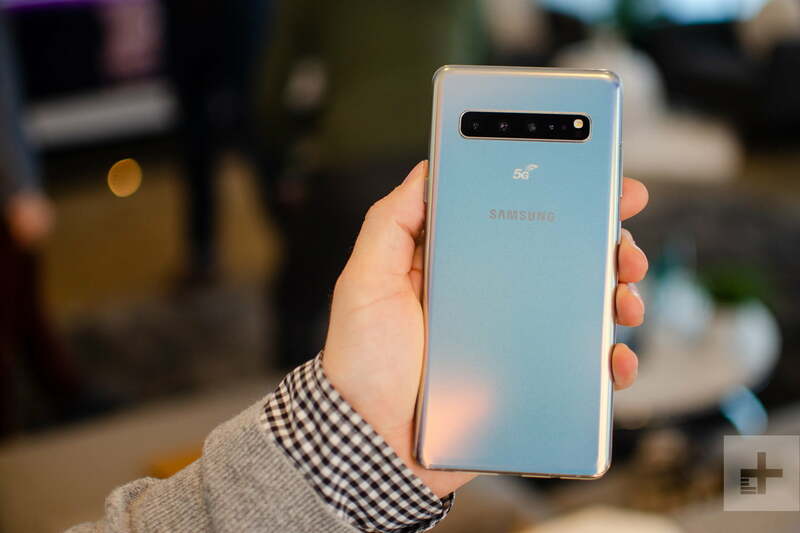 Its ultimate flagship smartphone this year, apart from the experimental Samsung Galaxy Fold, isn’t the Galaxy S10 Plus, but the Galaxy S10 5G. Samsung’s first 5G phone is set to launch in South Korea on April 5, but what of other markets? Samsung has been tight-lipped about those details for the moment, but whispers are circulating that we might see the Samsung Galaxy S10 5G launch in the U.S. as early as the middle of next month. Experienced leaker Evan Blass posted a tweet that simply said: “S10.5G.VZW.05.16.” While a lot more vague and enigmatic than his usual fare, it seems likely that this code refers to the launch of the Galaxy S10 5G coming on May 16. We know it’s coming to Verizon first — which explains “VZW.” While this isn’t confirmed, Blass has an exceptional record, so we’d be happy to put money on this being the official release date for the moment. Samsung has confirmed it will be launching the Samsung Galaxy S10 5G in its homeland of South Korea on April 5. Unfortunately for anyone who doesn’t live in South Korea, it hasn’t yet announced availability for everywhere else — but we imagine it’ll be following soon after. The phone shares many of the same specifications as the Galaxy S10 Plus, which the company announced alongside the Galaxy S10 and a lower-cost Galaxy S10e, but there’s a massive 6.7-inch screen instead of the 6.4-inch one seen on the Plus. That’s the biggest screen we’ve ever seen in a Galaxy S device. 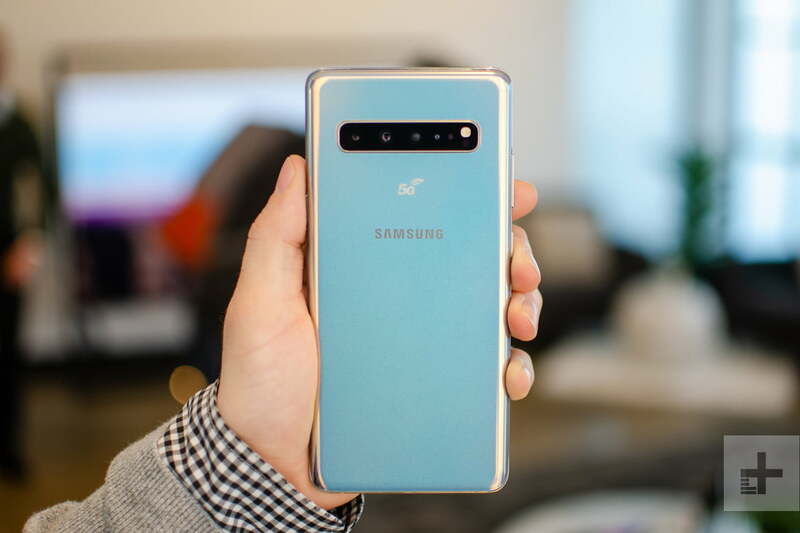 Samsung has also managed to keep the S10 5G’s size almost the same as the 6.4-inch Galaxy Note 9, which is an impressive feat achieved by shrinking down the bezels through the new hole-punch camera display technology. What exactly is 5G? It’s the fifth-generation mobile network technology, following 4G LTE, and it promises much faster data speeds and lower latency. While there aren’t a lot of 5G networks available yet, U.S. carriers are expected to ramp up deployment in 2019 through 2021, though it’s unlikely we’ll see any kind of nationwide coverage soon. Instead, select cities will have specific 5G zones, so these 5G phones won’t offer too much for the immediate future and will frequently drop back to 4G LTE when there’s no 5G service available. 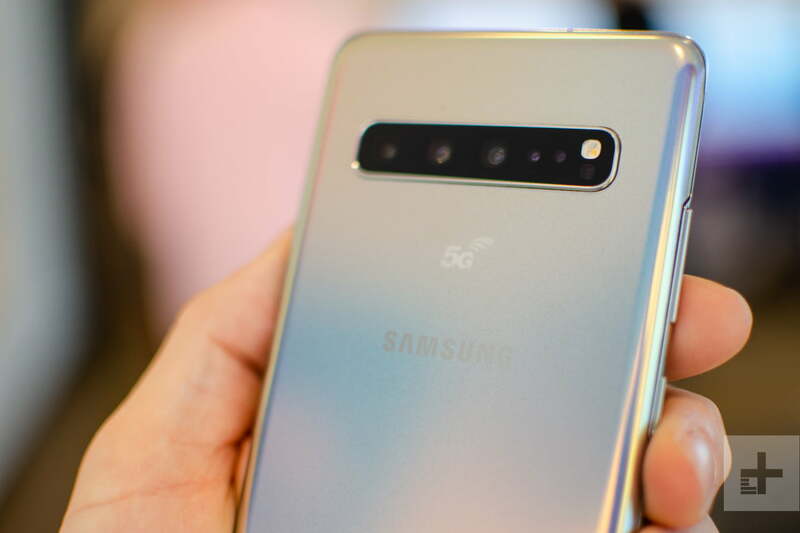 The Galaxy S10 5G is different not just in size from the rest of the S10 range, but because it also has a 5G logo on the back. More importantly, it has a fourth camera on the rear. The ultra-wide-angle, telephoto, and standard lenses that are present on the S10 and S10 Plus are paired with a fourth Time of Flight (ToF) camera on the S10 5G to accurately capture 3D depth data. This ToF camera is also present on the front next to the standard 10-megapixel selfie camera. Samsung said this will enable augmented reality experiences that are only possible through 5G, though no examples were shared of what this may look like. The ToF cameras also enable a new feature called Video Live Focus — considering Samsung’s Portrait Mode is called Live Focus, which is a portrait-mode live effect for videos, where a blur is added behind a subject. A new tool called Quick Measure is also available, and while Samsung hasn’t mentioned what it does, we presume it means using the depth camera to get measurements of objects in the real world, not unlike Apple’s Measure app. The rest of the specs, as previously mentioned, are in line with the S10 Plus including the 8GB of RAM, 128GB of base storage, and the in-display ultrasonic fingerprint sensor. The entire Galaxy S10 range may feature the latest Snapdragon 855 processor from Qualcomm, but it’s the special X50 modem that’s used in the S10 5G that enables connectivity to 5G networks. The rest of the phones do not use this modem, so they won’t work with 5G networks at all. To ensure 5G doesn’t cause any major battery drain — which was a problem with some of the first 4G devices — Samsung has outfitted a massive 4,500mAh battery in the Galaxy S10 5G. To juice this beefy battery back up, Samsung’s also outfitting the S10 5G with Super Fast Charging at 25W, so you shouldn’t need to wait too long to get back to 100 percent. Samsung will release the Galaxy S10 5G in Korea on April 5, where it will cost the local equivalent of about $1,230. Three colors will be sold, a black, gold, and silver model. In its press release, Samsung says the 5G Galaxy S10 will be the first 5G smartphone available in the market, and that it will be released in more markets in the future. The U.S. release date has not been confirmed yet. Verizon launches its own 5G network on April 11, which may offer us a clue. We know the phone will be sold exclusively on Verizon first before coming to Sprint, Spectrum Mobile, Xfinity Mobile, T-Mobile, and AT&T a few months later. 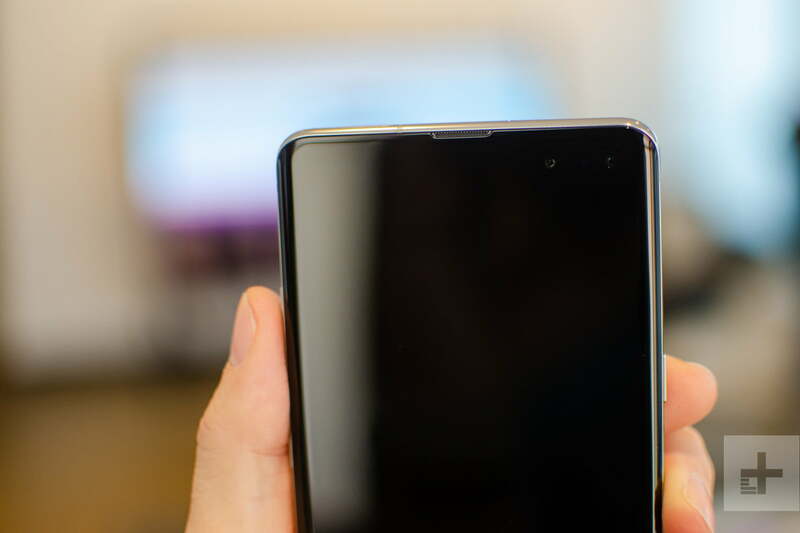 Updated on April 5, 2019: The Galaxy S10 5G may launch in the U.S. on May 16.